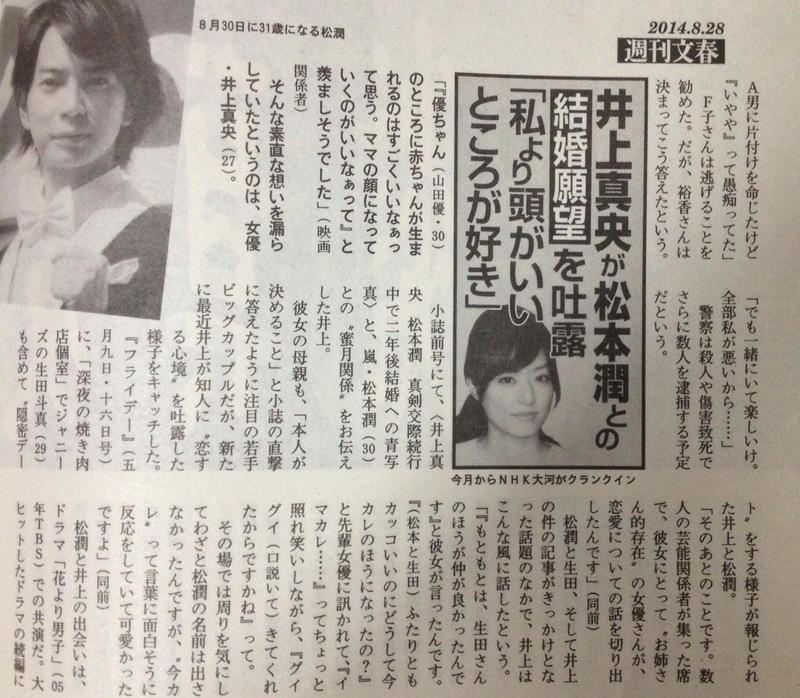 unleashthegeek: This week in Shukan Bunshun :- What does Inoue Mao like about Matsujun? What does Inoue Mao like about Matsujun? 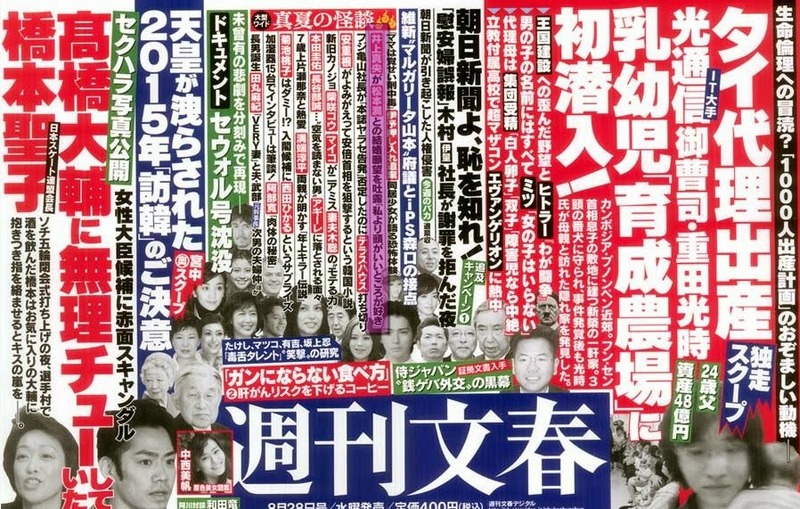 Shukan Bunshun (28 Aug 2014 issue) reports on a conversation that supposedly happened at a gathering among acquaintances, between Inoue Mao and an actress she looks up as an older sister. Mao: At first I was actually closer to Ikuta-san. Senpai: (Matsumoto and Ikuta) Both of them are good-looking, so how did you end up with the imakare? Mao: *Blushing* Imakare... He was persistent. Senpai: What do you like about him? Mao: That he's smarter than me. The film insider who recollected this conversation said that Matsujun's name was left out so as not to tip the other people around but Mao's amusing reaction to the term 'imakare' (イマカレ commonly used to mean a current boyfriend as opposed to motokare, an ex) was cute. The insider went on to mention that it was charming to find that Mao, who herself is sensible and intelligent, looking up to him. Then the topic of marriage came up, and the senpai, who is married, asked about Mao. Senpai: You're not getting married? Mao: I've been told by the people around me that I can play more roles precisely because I'm not, so it's better this way. But I think it's great that Yu-chan is having a baby. It sure is nice how she's getting on to have that mama look. So it's a confession. the "imakare" term is a confession. There is no more question of "Are they together or not?". This is now "When are they allowed to get married". I believe Jun would want to already. But it's Mao who is not "ready". Hope their relationship last till the end. We need to pray that they will overcome this long distance relationship.